From the Savoy traditional lighting range, a superb suite of quality Victorian influence lights. 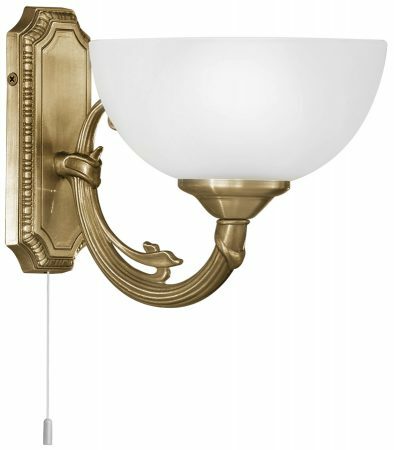 A highly lavish bronzed cast metal wall light with a white satinated glass bowled shade. Easily operated by a built in on / off pull cord switch.